KuCoin Spotlight has already launched. You can reach the Spotlight page by clicking the ‘Spotlight’ tab on KuCoin’s official webpage. If you would like to participate in the Token Sale of Spotlight projects, you will be required to complete identity verification (KYC). To ensure account security, all users are required to set up a trading password. To participate in the Token Sale, users need to sign the purchase agreement. Please read the terms and conditions carefully. If you accept the agreement, please click ‘confirm’. For purchases, only KCS is supported as a payment method. We recommend that you purchase KCS in advance to ensure that you have sufficient funds in your trading account (not Main Account). 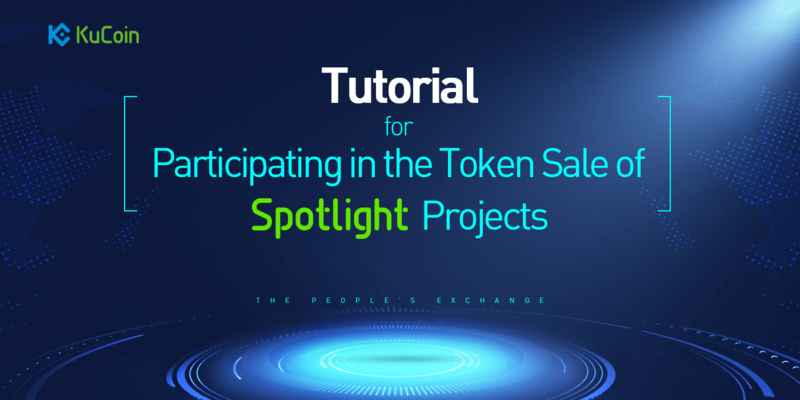 All the above steps can be completed on the Spotlight page before the start time of the Token Sale. Once the criteria have been completed, ‘Coming Soon’ will be displayed. Otherwise, it will display “Unable to proceed the purchase, please complete the following criteria”. When the activity has started, you will be able to choose the purchase amount and click ‘Purchase Now’ to participate in the token sale. To confirm the purchase, you will need to input your trading password. Please kindly check the amount and total price before clicking ‘Purchase Now’. You will be able to check your purchase history by visiting ‘Purchase History’ in the upper right area of the website.